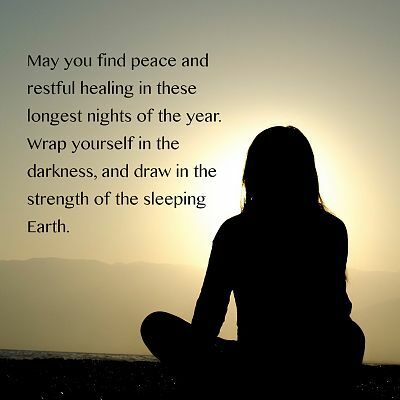 - May you find peace and restful healing in these longest nights of the year. Wrap yourself in the darkness, and draw in the strength of the sleeping Earth. Sometimes it's enough just to breathe and wait for the dawn.